Haikyuu Season 4: After the end of 3rd installment, fans are eagerly waiting for the Haikyuu S4 release. Though we don’t know all the details, here’s what we have gathered from various sources regarding the season 4 of Haikyuu release date and all updates. The last episode aired two years ago of the series by by Haruichi Furudate. It ended on 190th chapter and as of now, it is waiting for 314th chapter of the manga. So, it means that we have around 100 chapters to be adapted into the next season of anime. There hasn’t been any official announcement so far by the studio Production IG. As the s3 recently ended, so it would be early to conclude that there won’t be another installment in the series. Some recent reports have suggested that it won’t air until mid-2019. There are two reasons behind it. The first one is the studio is currently busy with some other productions/projects. So, they aren’t focusing on the Haikyuu fourth season at the moment. The other report is that there isn’t enough manga material to adapt that into anime. 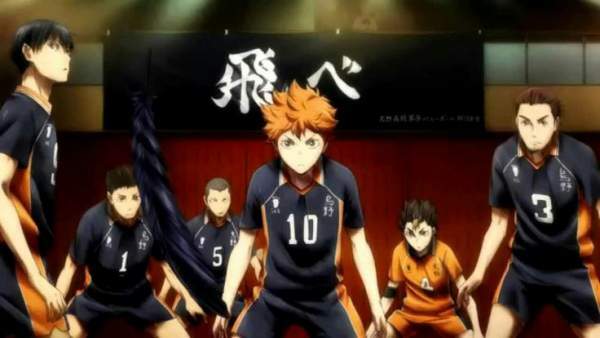 There are speculations and rumors that the upcoming installment of the series will be based on Karasuno High’s training for the National Playoffs. According to those reports, some misunderstandings will arise between players while training. The reason being everyone has their own game plans, but only one can be adopted. With around 100 chapters on the corner, the anime can run for about four more cours with something like 54 episodes. Or Haikyuu season 4 can be made into two cours of 25 episodes each. The first three seasons released in three consecutive years. Related: Iron Man 4 Release date. Will Tobio Be Going To Train Alone? If you remember, Tobio received an invite to the National Youth Intensive Training Camp in season 3. But, it wasn’t revealed if he accepted it or not. At the moment, he is one of the crucial and talented players of Karasuno High. So, the biggest question of this time is if he would accept it? or will he train alone? In the S3E1 titled The Battle of Concepts, an epic match between Karasuno High and the Shiratorizawa Academy was featured. The opponents were surprised with the talent of Karasuno High. In the end, KH won it and had tears of happiness in their eyes. It seems that there would be one more game between the two teams. It’s because it will take Shiratorizawa Academy to accept defeat. So, fans can accept one more epic volleyball battle. Related: GoT season 8 release date. It seems that the manga series has got enough material which can be used to make one more installment. Earlier, it was a risk that anime series would be ahead of manga if it was further extended. However, now, it’s not a problem anymore as the manga has got enough chapters. But, there is still one more reason behind the delay. The studio is still busy with other projects. It may be causing delay. However, the studio hasn’t responded and revealed anything official. The first three seasons utilized the first 190 chapters of the manga. The first one had 25 episodes made from first 71 chapters. The second installment included the story from chapter 72 to 149. But, the third installment was small and had only 10 episodes and covered the story till chapter 190 + some part of chapter 207. So, there wasn’t enough material for the next season when the installment 3 ended. Now, the manga has reached to chapter 267. This means that Production IG might start working on Haikyuu. What are your views and thoughts? Let’s know in comments.